Five-time NBA Champion Earvin “Magic” Johnson will partner with SC State University to raise $2.5 million toward an endowed scholarship, which will bear the global businessman’s name. Such a philanthropic effort is the first in university history. The Earvin “Magic” Johnson Endowed Scholarship Fund will support scholars who are working toward earning their degrees from the SC State University School of Business. “I am overjoyed by the opportunity to continue my commitment to higher education through my partnership with SC State University. Since visiting the university over a year ago, we have worked to develop meaningful ways to contribute to its success. This endowment will help continue the legacy of our nation’s historically black colleges and universities (HBCUs). 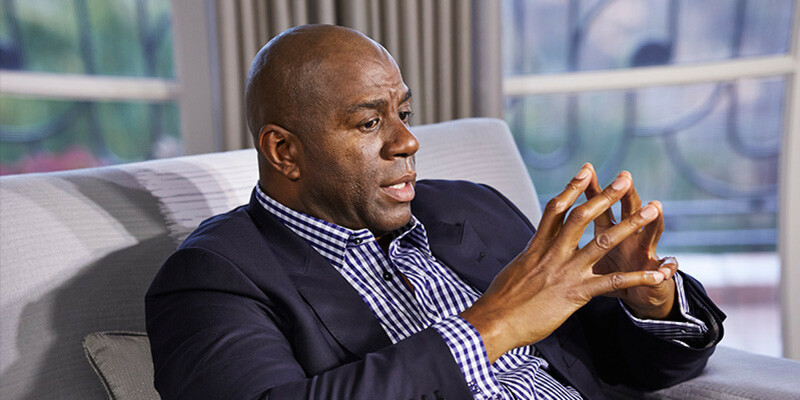 I encourage all corporate and socially responsible citizens to support our HBCUs,” said Earvin “Magic” Johnson, chairman and CEO of Magic Johnson Enterprises. More than one year ago, Johnson visited the Orangeburg, South Carolina.C. campus. He spoke before a crowd of several hundred during the School of Business’ weekly Executive Speaker Series. It was during that appearance, he committed to help strengthening and catapulting the university’s firmly rooted land-grant mission of research, teaching and service. “We are certainly honored that Earvin is teaming up with SC State to assist in achieving what will be the university’s largest single philanthropic investment to date,” said Interim President Dr. W. Franklin Evans. “His partnership not only marks a milestone in the university’s history, but this partnership will produce an indelible impact in the university’s legacy,” Evans continued. The SC State University School of Business is recognized among the best in business education for institutions of higher learning. It is among the top 5 percent in the world to receive the premier accrediting distinction by the Association to Advance Collegiate Schools of Business. The university will announce further details about the scholarship at a special fundraising event on Sunday, June 12 in Washington, D.C., where Johnson is expected to make a major announcement about his partnership with SC State, the only state-assisted historically black university. Special guests will include SC State alumnus Congressman James E. Clyburn, ’61, SC State University Board of Trustees Chairman Charles S. Way Sr., Interim President Dr. W. Franklin Evans, President and CEO of the Thurgood Marshall College Fund Johnny C. Taylor Jr., and several alumni who are military general officers. Graduates from the School of Business have earned graduate degrees from prestigious schools such as Harvard University, University of Virginia, University of Chicago, University of Illinois, University of South Carolina, Clemson University, College of Charleston and the Hult International Business School in London. Upon earning their degrees from SC State, students gain employment at top companies and agencies including Boeing, BMW, Altria, the U.S. Department of Agriculture, Microsoft, Wells Fargo, Bank of America, Pfizer, PricewaterhouseCoopers, Cigna and TOMY International. “The School of Business is beyond grateful for Mr. Johnson’s partnership. The Earvin “Magic” Johnson Endowed Scholarship will benefit our students, who are inspired by him and desire promising careers as entrepreneurs and forces-to-be reckoned with in the business world,” said Interim Dean of the School of Business Dr. Barbara Adams. Johnson’s announcement comes on the heels of an unprecedented time in giving for the university. Overall private giving has increased more than 361 percent over last year, from $915,959 to $4.2 million. Additionally, alumni giving has increased 81 percent, from $437,275 to $972,304. According to A.L. Fleming, associate vice president of Institutional Advancement and executive director of the SC State University Foundation, the surge in contributions reflects the increase in public confidence of the university. “More individuals and corporations are contributing to the university because they believe in the power of SC State University to transform lives and inspire greatness. Alumni recognize the lasting impact of the university in their professional and personal lives; and corporations – either by word of mouth or by witnessing the professional contributions of their employees with SC State degrees – know undoubtedly that SC State adds value to the workforce landscape,” said Fleming. “I have no doubt that this established partnership will inspire more to begin investing or increasing their level of giving to SC State University,” continued Fleming. For more information, please contact A.L. Fleming at aflemin6@scsu.edu or (803) 536-8542.